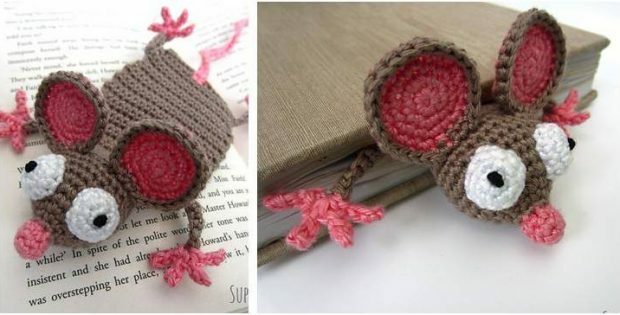 Delight family and friends with this fun mouse crocheted bookmark. Its sheer cuteness will make it an instant hit! Make one for yourself or give as a gift! It makes for a cool present for book-lovers and for any occasion. In fact, this pattern is an ideal project for experienced beginner crocheters looking to craft unique crocheted items to add to their collection. Once finished, the crocheted mouse bookmark should measure approximately 12 inches long from nose to tail. In metric measurements, the completed crocheted piece should have a length of around 31 cm, including the tail. This crochet pattern is another awesome design by Jonas Matthies. In fact, you can access the FREE pattern for this fun crocheted bookmark from the Supergurumi website. Featured image: Jonas Matthies / Supergurumi – thank you!